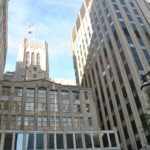 Read the latest news from Northwestern University Feinberg School of Medicine’s Department of Family & Community Medicine. 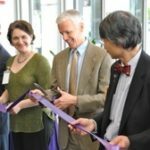 The links below take you to articles where you can learn more about our faculty’s latest achievements, awards and honors. 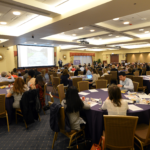 Feinberg faculty, students and staff gathered to recognize medical education through workshops, lectures and presentations at the seventh annual Medical Education Day. 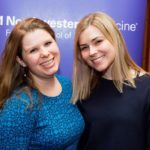 Thirty-six new members of the Northwestern University Feinberg School of Medicine community were inducted into the Alpha Omega Alpha (AOA) medical honor society. 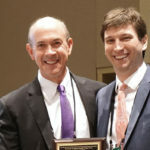 Bruce Henschen, ’12 MD, ’12 MPH, ’15 GME, assistant professor of Medicine in the Division of General Internal Medicine and Geriatrics, has received the Thomas Hale Ham Award for New Investigators. Deborah Clements, MD, chair of Family and Community Medicine, has been appointed as a member of the National Resident Matching Program’s board of directors. The newest members of the Alpha Omega Alpha medical honor society were inducted at a ceremony on March 14. Alisha Thomas, ’05 MD, instructor of Clinical Family and Community Medicine, has been recognized with the Exemplary Teaching Award for volunteer faculty by the American Association of Family Physicians. 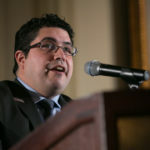 Luis Rivera, MD, a first-year resident in Family and Community Medicine, was recently awarded a $25,000 scholarship by the National Medical Fellowship for his work and commitment to underserved populations of Chicago. 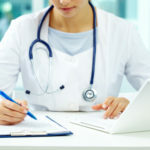 The Education Centered Medical Home, a longitudinal clinical experience for students, continues to grow as students gain an understanding of continuity of care and team medicine. Alisha Thomas, '05 MD, instructor of Clinical Family and Community Medicine, received the 2014 Illinois Family Medicine Teacher of the Year Award by the Illinois Academy of Family Physicians for her outstanding contributions to the field. 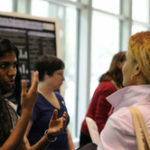 Medical students discussed choosing specialties with residents and faculty members during a panel and career fair. 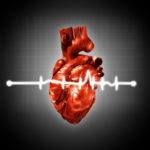 Northwestern Medicine is partnering with the Chicago Department of Public Health to expand an innovative program, Keep Your Heart Healthy, to screen Chicago residents for cardiovascular disease. 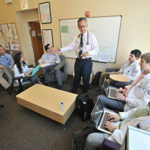 The past year provided an outstanding time of growth and success at Northwestern University Feinberg School of Medicine. The following stories highlight some of the best moments from 2013. 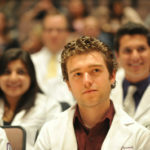 Members of the Physician Assistant Program earned Master of Medical Science degrees on May 18. 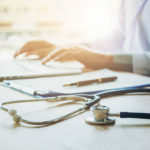 As one of eight centers in the Institute for Public Health and Medicine, the CCH will facilitate multi-disciplinary, partnered efforts to envision and investigate a frontier of medicine that integrates public policy and population health. 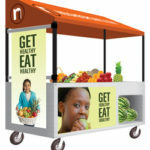 A Northwestern Medicine® study has found Chicago's Neighbor Carts pilot program last year was profitable for the vendors selling fresh produce and a boon for customers buying fruit, vegetables, and nuts. It was so successful, in fact, that this year the program will expand from eight to 30 carts, with new ones rolling out this month. 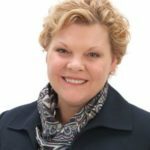 Deborah Clements, MD, nationally recognized for her contributions to education policy, will join Northwestern University Feinberg School of Medicine on May 1 as professor and chair of the Department of Family and Community Medicine. 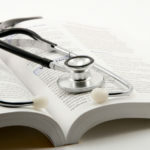 From groundbreaking research to an exciting new curriculum, Feinberg achieved a number of accomplishments in 2012. Take a look at our top 25 stories. 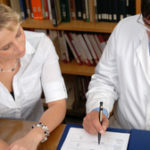 A major four-year review of academic literature led by Northwestern Medicine researcher Michael Fleming, MD, MPH, offers a thorough understanding of what actually works and what doesn't when it comes to mentoring and how institutions should approach research trainee mentorships. While an intern at the Chicago Department of Public Health, fourth-year medical student Azmina Lakhani helped launch the PlayStreets program, which closes city streets in six communities to provide a safe, supervised space with organized outdoor activities for children. 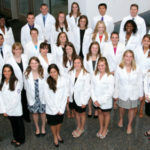 Thirty physician assistant students in the Class of 2014 were initiated into the PA Program at a white coat ceremony on June 8 at the Northwestern University Feinberg School of Medicine. 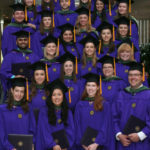 On the second Saturday in May, members of the inaugural class of Northwestern University Feinberg School of Medicine's Physician Assistant program became its first graduates. 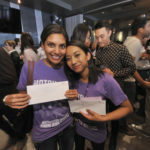 The Office of Admissions at Northwestern University Feinberg School of Medicine hosted its annual Second Look event for prospective students April 12-13. 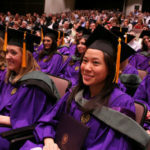 The Northwestern University Feinberg School of Medicine Physician Assistant (PA) Program is a two-year graduate program that awards students a Master of Medical Sciences degree. 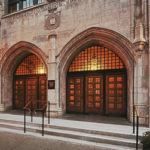 Northwestern University Feinberg School of Medicine was the first institution to offer a Master of Science in Healthcare Quality and Patient Safety. 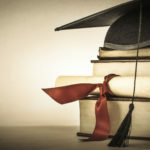 The degree program started in 2006. 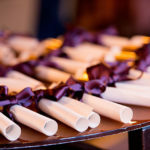 Its fifth class graduates June 2012. 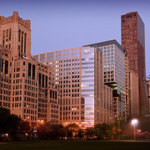 How Healthy is Your Chicago Neighborhood?